Studio A is the largest control room at Pentavarit. 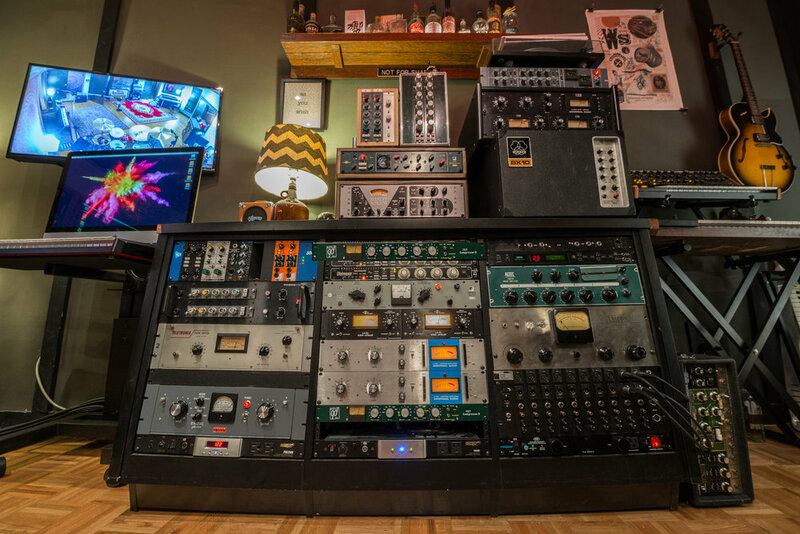 It is equally suited for full tracking sessions, mixing, overdubs, and vocals. 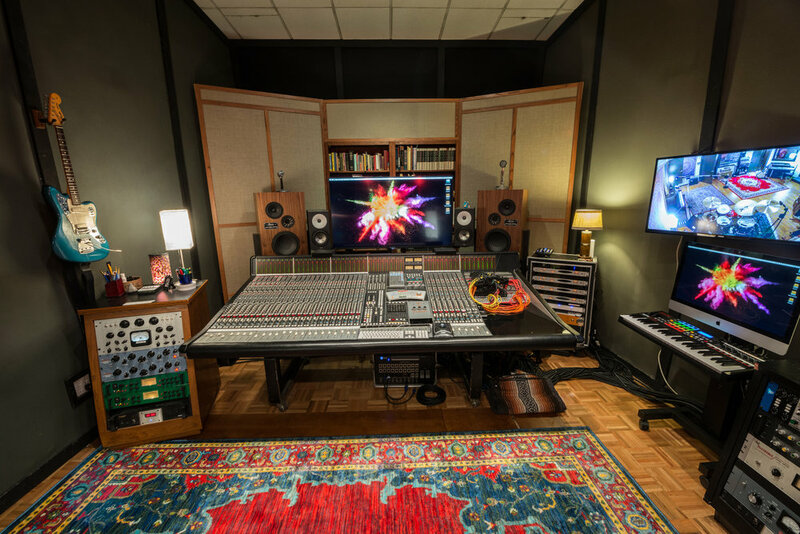 A large complement of classic vintage and modern gear - including the amazing SSL 6032 E/G console - are at your disposal and ready to rock. 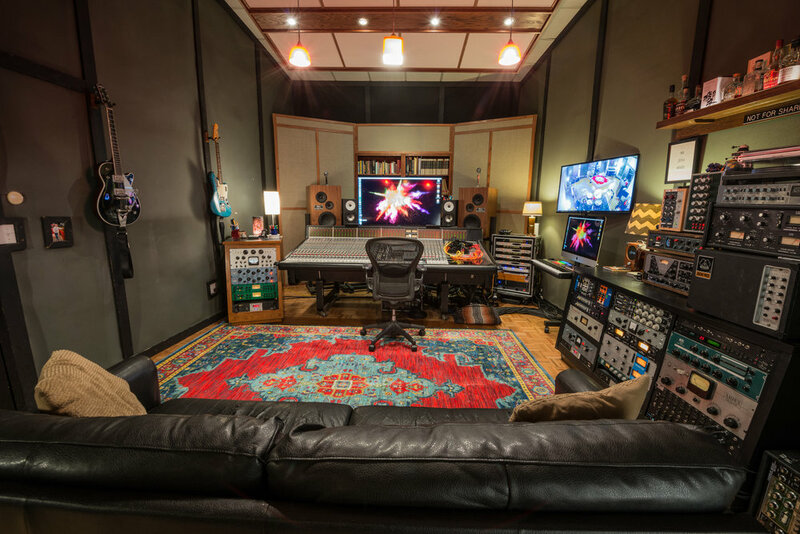 This room is wired to The Tracking Room with plenty of tie lines, a 16 channel cue system, and cameras that display on a large TV. 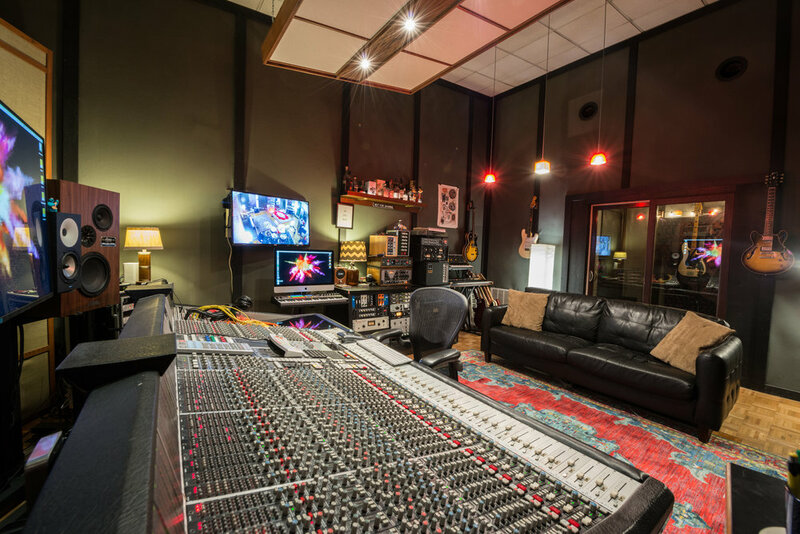 Additionally, there is a small booth behind the control room for simple overdubs, and another isolated space for use during tracking sessions. Custom mix bus mod, replacing the ABC mix busses with three custom CAPI (vintage API). Fully discrete, Class A.